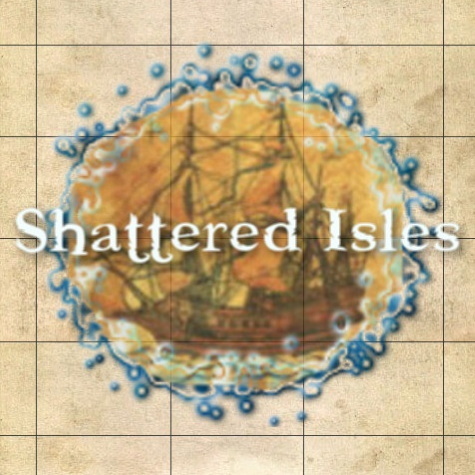 Shattered Isles has many of the traditional D&D classes players can except from a fantasy RPG. Some classes have restrictions based on race or religion. Click on any of the class names below for more details. The arcanist class is a blend between a shadow mage and a thief. They came into existence at the end of the 2nd age during the Shadow and Light wars; a resut of Itzal's teachings on how to harness the power of the shadow element. There are no known arcanists living in the world today as their magical abilities left them when the last remaining dragons disappeared from the world. Assassins are a mixture of warrior and thief, specializing in all forms of close combat. Assassins exist in every religion and are instrumental tools of their faith when called upon. They are not the masters of deception that thieves are and tend to carry a more honorable reputation as a result. Barbarians are the wild swinging fighters of the melee group. They exist in every religion and their numbers surge during times of war. They have special abilities that aid them during combat, making them the ideal person to send charging into battle first. The diviner class is a type of mage that specializes in enchanting items with magical properties. They came into existence as a result of Astraeva's teachings during the Shadow and Light Wars of the 2nd age. Their magic is almost all utility, designed to study the enemy and give their side an tactical advantage. There are no known diviners living in the world today as their magical abilities faded when the last of the gold dragons was killed in 194 AoM. Mages are unique in that they divide into 4 separate groups based on element yet all originate from the same class. The type of mage you are depends on which of the 4 original elements you follow. They are Air, Earth, Fire, and Water. Each subclass has many of the same common spells, each tailored to their religion, as well as ones unique to their element. Mages cannot follow Itzal or Astraeva. Priests did not receive the ability to channel their deity until the start of the 3rd age after the Gods were given names. While their divinations may seem like magic at times, they cannot manipulate their element; only harness it through their God or Goddess. Every religion has Priests and they often make up the temple's leadership. Scouts are a cross between a warrior and a thief, excelling with ranged weapons in combat and also in gathering information from their surroundings. Scouts are found within every religion, serving a variety of positions. Tetherias has the largest following of scouts as most woodsman tend to favor the profession. Templars are those who pursue power and glory in the name of their God. The templar can use any weapons and armor as well as supportive prayers that aid in their fight. A templar's main focus is on defending their faith, though they do not take the same approach to the undead as the priests do. They do have some restorations abilities as well, making them an adequate backup healer in large battles. Thieves possess numerous abilities to help them survive in the world such as disguise and pilfering. Most strive to be skillful, sly, and cunning, making them very capable spies. A thief's strength is in his or her ability to avoid detection while navigating tricky situations. By accumulating the wealth of others, a thief can stay comfortably equipped with the best that doubloons can buy. Warriors are brutish weapon masters, skilled in the art of killing. They may specialize in any weapon type, and learn numerous new fighting techniques as they advance in skill. Warriors excel in group combat, offering many different group defenses that prove useful. The Warriors' greatest weakness is his or her inability to move secretly, or get into or out of tricky spots.